GNA Gears is the flagship company of GNA Group that manufactures a wide range of Crown Wheels & Tail Pinion; Ring Gears & Epicyclic Assemblies; Transmission Gears & Shafts; Speed Gears; Differential Gears, Gear Boxes etc., majorly for the automotive industry at a modern, integrated and largely automated manufacturing facility located at Mehtiana near Phagwara (Punjab). 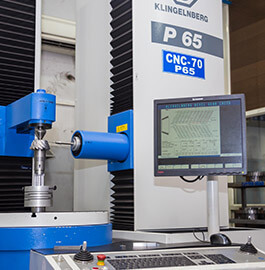 Our facilities operate on the latest Klingelnberg Dry Cutting Technologies. We consistently meet the highest benchmarks. 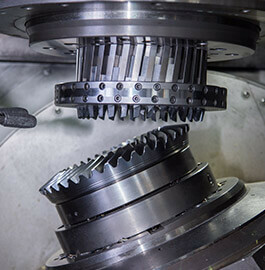 Our manufacturing operations facilitate Speedier levels of productivity. PRECISION is religion at GNA Gears, revered, pursued and upheld since 1946; promising to continue for good, a consistent strife in everything we do, the first time, every time. GNA name synonymous with exceptional service, quality and zero defect enabling precision. 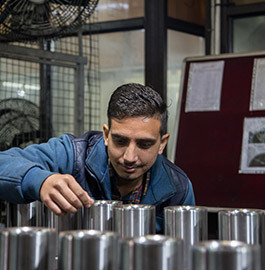 Leading expertise in auto ancillary products for over 70 years has enabled the GNA name synonymous with exceptional service, quality and zero defect enabling precision. 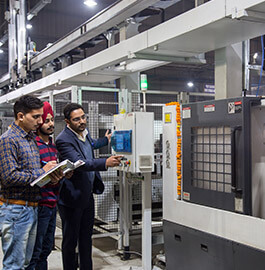 GNA Gears is reputed for its cutting edge technology, established quality processes and capabilities owed to a legacy of perseverance and forward looking attitude. 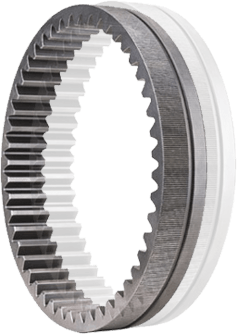 Leading OEM's like Caterpillar, JCB, Arvin Meritor, Mahindra & Mahindra, TAFE and several others source most of their complex gear requirements from GNA Gears. Our growing markets and customer base worldwide is ample indicator of our continuous and consistent strife: to deliver precision in all that we do.